The most vital and requisite ingredient of an excellent home cooking is the love for those you are cooking for. 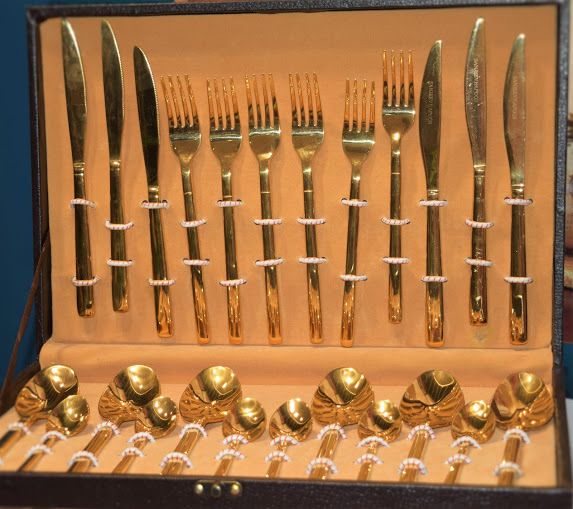 This Diwali, add that bling to all the festivity, show your love in the most stylish way and give your dining experience a complete makeover. 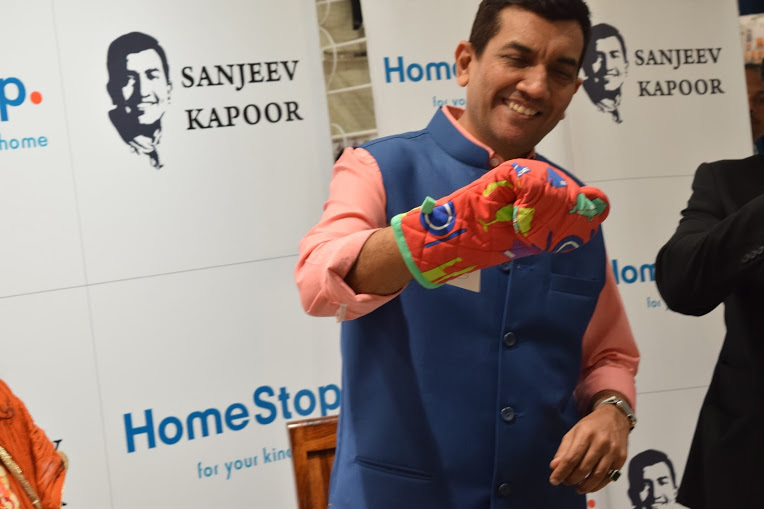 Chef extraordinaire- Sanjeev Kapoor introduces a complete range of stylish house-ware products at the select stores of Homestop, leading specialty retailer in house-ware segment. 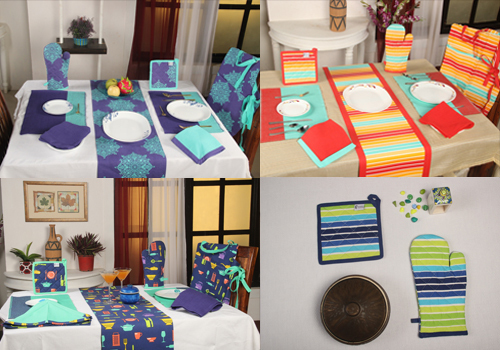 The new range of products, offers fresh collections across categories in the home segment. SK’s merchandise is a feather in the cap to the existing portfolio of brands at the HomeStop. The range of products is at par with global standards and redefines the experience from pre-cooking, cooking to table arrangements and dining. Thus, offering a complete culinary solution. Some of the products made available include Kitchen and Table Linen, products like Mittens, Pot Holders, Aprons, Kitchen Towels, Napkins and Table Runners. Products are manufactured using 100% cotton fabric and cutlery is crafted in 18//10 stainless steel which is food grade and safe. 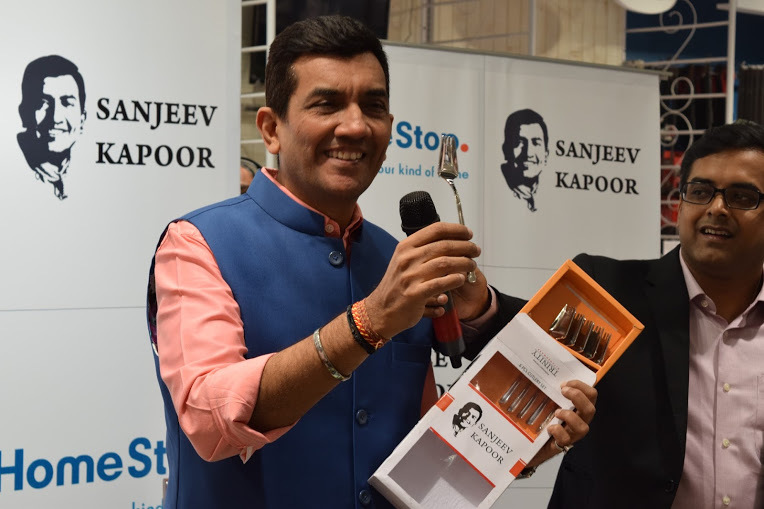 Sanjeev Kapoor- introduction ain’t needed, the masterchef himself introduced the high-end premium range of Gold and Silver plated Cutlery under his own brand ‘Sanjeev Kapoor Signature’. Mr. Vikram Chitnis, Customer Care Associate and Business Head, Home Division, Shoppers Stop Ltd., commenting on the retail launch said, “We are honored to be the preferred retail partner for the all new merchandise of Table, Kitchen Linen & Cutlery”. In an exclusive interview with the media, the masterchef gave insights about the pricing strategy which will be based on the revenue sharing model with the Homestop. He also mentioned that there’s a specialized team that does all the hardwork on designs and took them almost 180 days to design the exclusive range. With the changing preferences of the Indian customers, and upheaval in the lifestyle, the new range is definitely appealing to every household due to its co-ordinated color schemes, fashion element and aesthetic appeal, contemporary patterns and elegant yet classic styles. So now you think it is high-end so has to be expensive, but the answer is not really! The price range is affordable and caters to all segments starting from Rs. 199- 1 lakh plus. What are you waiting for? Its time of the year to rejoice the festive season and check out the premium range at the HomeStop to bring that flavor of joy and pride of possession to our kitchen. A piece of advice by the masterchef- Smile when you cook- Cook from within. I like the cook who smiles out loud when he tastes his own work.